Garthwest has a long history of innovation in our print services. Our extensive experience acting as both printer and print manager allows us to have a balanced and effective perspective. Our design department have an in depth knowledge of all corrugated packaging print processes. We use this resource to ensure our customers achieve the best quality print from concept to delivery. Our print management service draws on this same wealth of experience and we also benefit from having an on-site ink and colour lab. Our quality and ordering systems handle thousands of changes to existing customers’ print orders. We aim to achieve your request first time, while being flexible and adaptable to your needs. We are able to use our lab to ensure colour matching and consistency. All of our on-site operators are trained in print quality control. 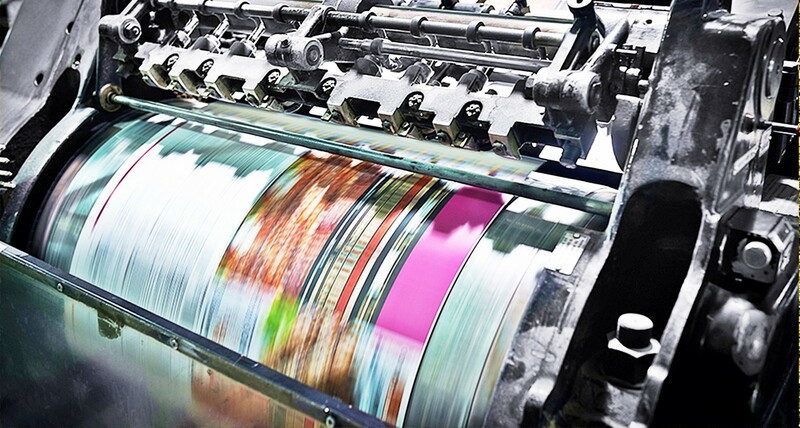 We are able to perform print management for all sizes of business: from producing style guides and testing samples from other printers, to bespoke services for those requiring small batches or technically challenging runs. Our established relationships with major supermarket suppliers makes us aware of their individual print requirements. We can guide you through their processes to make sure your packaging is compliant. We will always tell you what can realistically be achieved, balancing the need for fantastic brand articulation with the cost considerations for your business. Print costs can affect your bottom-line, and at Garthwest we understand the importance of getting it right for every single order. We only use the highest quality food grade inks in our flexographic print to ensure our products are safe and fully compliant to BRC food standards.